VNOG Blog: This is cool. Nothing to do with animation, really. Just a cool image. And better than the movies. This IS a really cool image!! proportions...especially the legs and the right arm?? 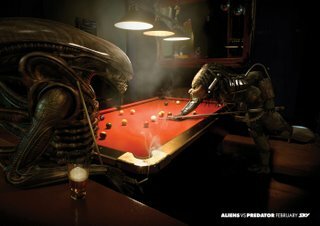 So good, with this pics Avp2 was promoted by SkyTV. All is here. Greetings! no no no this is amazing!!!! !